"SUPPORT BIKE LEGAL SINGLETRACK IN MARIN"
For $6 per month you can have unlimited riding at Tamarancho for the rest of the year. 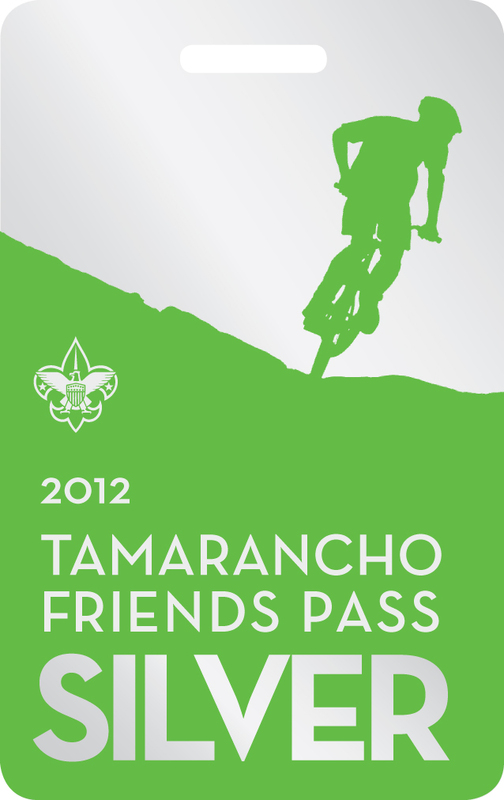 The new 2012 SILVER Annual Pass and the 2013 GOLD Two Year Pass are now on sale. The 2012 SILVER Annual Pass is valid for unlimited riding until December 31, 2012. The cost for the Individual Pass is $45, and $60 for a Family Pass (2 adults living in the same household). The 2013 GOLD Two Year Pass is valid until December 31, 2013. The cost for a GOLD pass is $85 for the Individual Pass and $115 for a Family Pass. 1. A plastic pass will be sent to you via snail mail. 2. Print receipt and you can start riding the camp that day. Marin County Parks and the Marin County Supervisors have approved a new 17 acre active skills off-road bike park at Stafford Lake, Novato. This progression based park is in the design phase and is slated to include a single track loop trail, gravity fed flow trails with jumps and berms, several pump tracks, north shore style elevated trails, a dual slalom course and more. The Supervisors have allocated $142,000 for the design and construction, but they need donations from the community to build the facility. At this time there is a challenge grant of $50,000 from the supervisors. This is a fundraiser, at a large private home with view garden in San Anselmo, for the YES Foundation, whose mission is to secure funding for the arts in local elementary and middle schools. The event, which costs $65, includes: group rides on Mt. Tam (1.5 - 4 hours), BBQ (brats, tri-tip), beer and drinks, house blues band and great schwag. If you are interested in cross country mountain bike racing you might want to check this out. Summit Bikes is conducting short course racing every Wednesday night in May, with races starting between 5:30 and 6:30 depending on class. Cost is $10. This is a benefit mtn bike ride (and hike) for the Bay Area Ridge Trail. There are 25 mile and 40 mile options, with a bus shuttle. Marin County Bicycle Coalition (MCBC) has hired Erik Schmidt, a former elite cyclist and longtime environmental professional, as its new Off-Road Director. He has been busy working for local mountain bikers to gain more access to off-road trails in Marin. Some of the specific issues he is dealing with include: Marin County Parks Road and Trail Management Planning; aiding efforts to preserve China Camp; building the Stafford Lake Bike Park; and following two key environmental impact reports (EIC) from State Parks. Team Luna Chix has opened registration for a beginner skills clinic to be held on Saturday May 19 in China Camp State Park. They also have scheduled clinics for intermediate and advanced riders in June and July. In addition, if you are interested in Wednesday evening group rides in Marin and other locations, they have posted a schedule for mountain bike rides from May to September. The new "680 Trail" built by local mtn bikers (including the Forest Knolls Freewheelers, the club that did much of the construction at Tamarancho) will be opening on Saturday May 19 at 9:30 am. The latest addition to Marin's trail system connects the Terra Linda/Sleepy Hollow Preserve with the Loma Alta Preserve and will be open to bikes! The trail has sweeping views of Mt. Tam, San Francisco, Mt Diablo and Lucas Valley, and will connect San Anselmo, San Rafael and Fairfax to the Bay Area Ridge Trail. The 680 Trail is currently closed to mountain bikers and equestrians so that work crews can put the finishing touches on the trail and let it settle following the April rains. Stay tuned for details, a new map, and RSVP information in early May. For 25 years this local non-profit organization has been providing disadvantage youth with the opportunity to experience the joy of mountain biking. Come celebrate and support this program at a Benefit Party on Sunday May 6 at the Mill Valley Community Center. Dinner and beverages by: Sol Food, TamalPie Pizza, Harmony, Broken Drum and more. Live and silent auction, speakers, and events. A local group, Friends of China Camp, is working to keep the park open. They have scheduled a human powered (hike, bike, paddle) benefit event on Sat. June 16, which will include group rides, bbq and a party. Camp Marin Sierra, a Boy Scout summer camp run by the Marin Council, started a mountain biking program in 2010. Although it is ideal for Scouts to bring their own bikes to camp, often this is impractical because of the distance and space available for them to transport them. Therefore, we are seeking donations of good used bikes for this program. Our preference is hardtails that are 26" rims, sizes from 13-17 (small to medium-large). Please no kids bikes. If you have or know of a bike, email Tim Wells at: Tim Wells or call 415-454-2983. Thank you ahead of time for your help!" Winter Trailwork Report- Jim Jacobsen, of Forest Knolls, is the professional trailbuilder who designed and coordinated the building of the singletrack at Tamarancho, also is in charge of trail maintenance. He reports that this past winter, during 6 days of trailwork, about 100 volunteers cyclists showed up to repair damaged trails, brush clearing and removal of invasive plants. Local high school mountain bike team members gave assistance on many of those days. Next season trailwork starts in early December. Parking- We encourage riders who drive to ride Tamarancho to park in Fairfax. With the new Good Earth market opening, the most popular place to park is now very busy. We suggest parking near the old Good Earth (on Drake). Also, remember that Fairfax Cyclery, which is next to this parking area, sells Day Passes to Tamarancho. Spring and Summer is a time of heavy trail use at Tamarancho, especially on the weekends. Since all the trails are two-way, there can be lots of oncoming bike traffic. During these prime hours we suggest riding in a clock-wise direction if you want to encounter fewer riders. Also keep in mind that Alchemist trail has the greatest bike use, and as with all trails at Tamarancho the UPHILL RIDER HAS RIGHT OF WAY and always ride in control. A couple of new "bypass" trails opened last couple of years in Tamarancho. One is near the bottom of Serpentine, and goes around the Rock Face and the other is on Broken Dam, near the Big Bridge, and includes 2 switchbacks. There are rumors that the Tamarancho Dirt Classic X-Country Race will return in 2012. If and when this is confirmed look for announcements about this event.